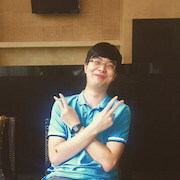 To measure a timeline for an activity we calculate the difference between two dates in terms of days, weeks, months and years. 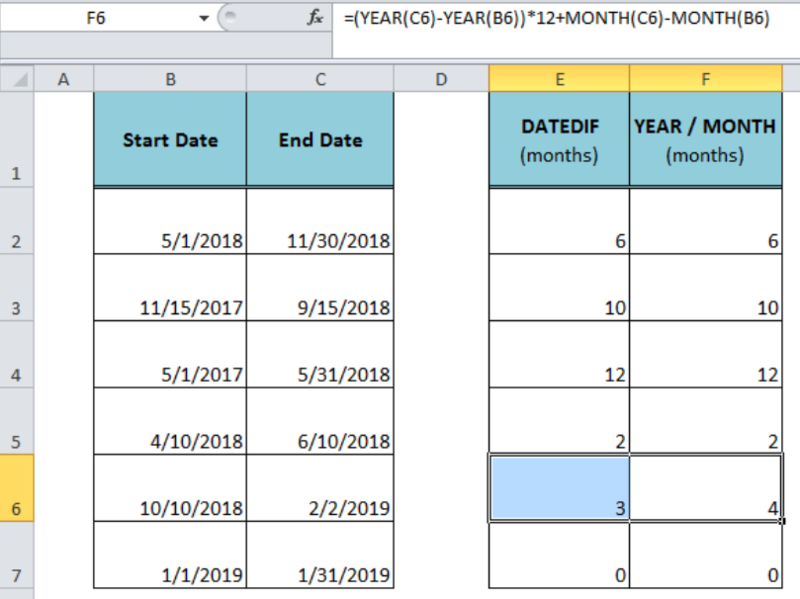 But how can we calculate the difference between two dates in months in Excel? 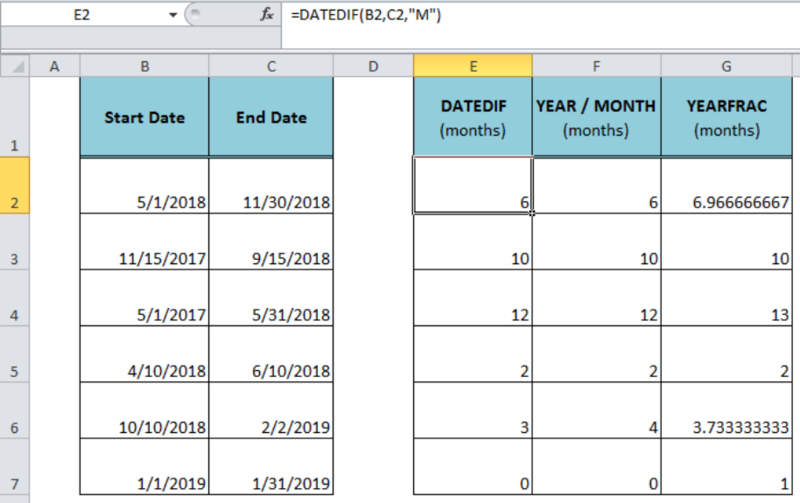 There are different formulas to get months between two dates in Excel. Notice that the result of this formula is not always similar to the DATEDIF function. 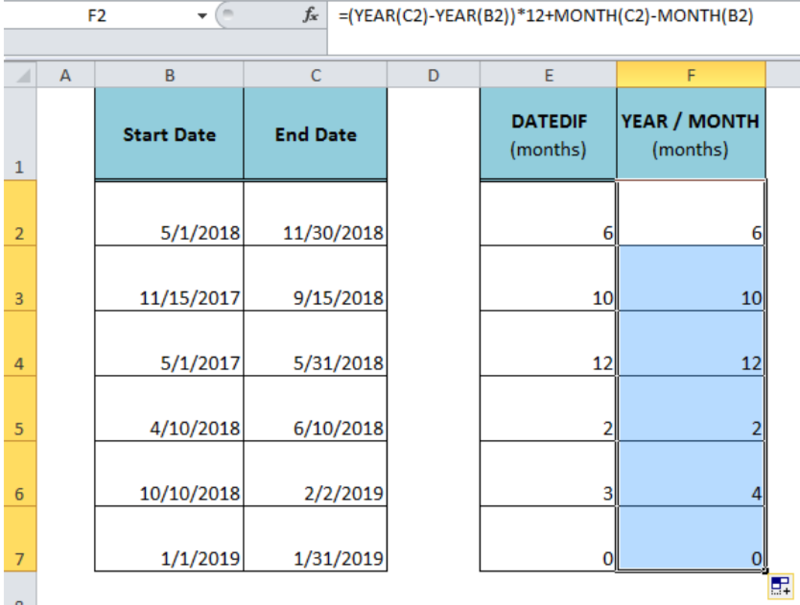 Because, the DATEDIF function returns the number of complete months elapsed between dates, and this formula works on the months’ numbers that belong to different dates. 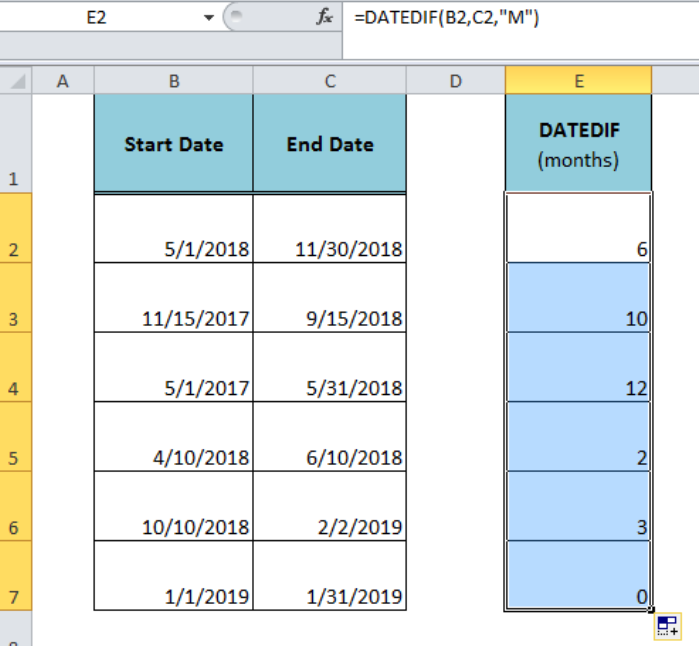 Like in row 6, the DATEDIF function returns 3 months and the YEAR/MONTH formula returns 4 because the dates belong to two different months. 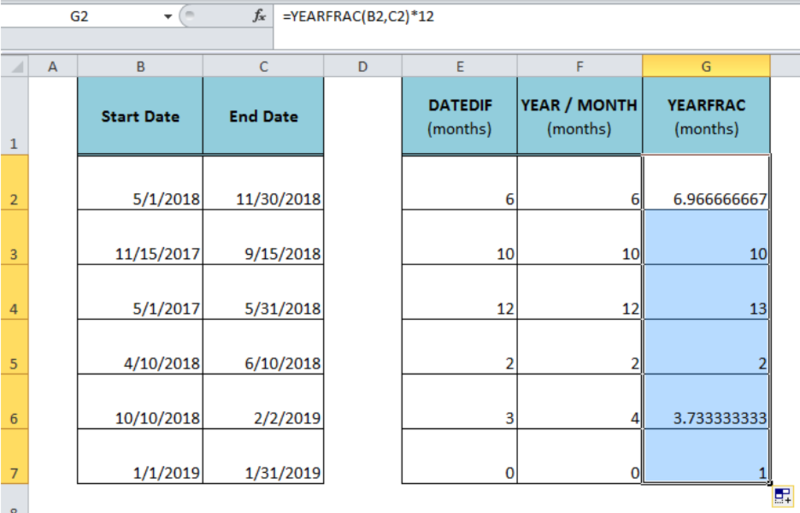 What is the formula to subtract one date from another date and get the number of months difference? The dates are in this format: 7/31/2018.